In the near future, robots will become our companions and colleagues – changing the way we play, live, and work together. 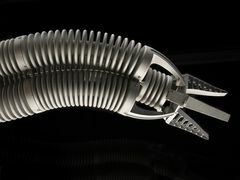 Come see the coolest robots ever assembled inside Robot Revolution, supported by Google.org. There are moments when a technology is poised to leap forward. Regardless of age, you've seen it happen. A new technology comes out and completely changes the way we do things. It starts with a simple question: How can we do this better? Faster? Safer? The answer: Robots! They are human wonder put into motion. Discover and learn in Robot Revolution. “My face-tracking software helps me recognize when you’re looking at me, but I also recognize objects, like a soccer ball, and can even kick one!" 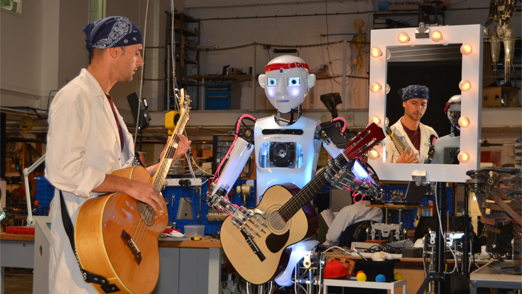 Take a deeper dive into the world of robots with exciting events. Geek out and learn more about robotics and cutting-edge tech with hands-on activities and demonstrations presented by 20+ robotics partners from across the Portland metro area. Think your phone is smart? Come meet us. 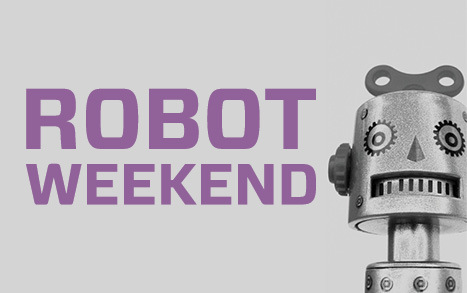 Take a deeper dive into the world of robots with these exciting events. There are millions of astonishing robots in existence today—and innovators are taking robotics to the next level with the latest generation of these awe-inspiring machines: humanoid robots that can work like us, play like us, learn, and even look like us. In this immersive giant-screen film experience from National Geographic Studios, audiences get an inside look at just how hard it is to mimic what we humans can do, as well as what it means to be humanoid. 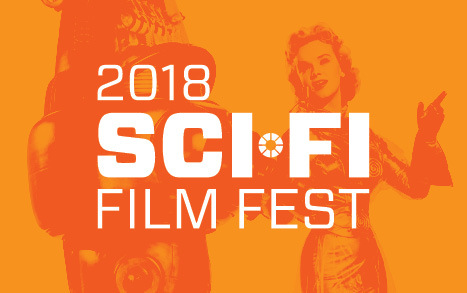 Aliens and robots descend upon The Empirical Theater for the 2018 Sci-Fi Film Festival! 18 days, 23 films, 1 giant four story screen! The Festival will showcase science fiction’s most memorable films, where audiences will feel as though they're being transported into another dimension. Films include: Forbidden Planet, A.I. and Ex Machina. Each attendee to the evening's Festival screenings will receive a free pass to OMSI's feature exhibition Robot Revolution. Limit 1 pass per person.